And then they arrived, quite early. And I couldn’t touch them. Because I had to wait for this release before I could use them. Can you say torture? Because sitting with those babies within reach but unable to use them? That was tough. But the moment has finally come, and I couldn’t wait to put these new inks through their paces! If you loved the Party Ink Collection, then you will definitely love the Spa Ink Collection too! These colours are less saturated (more grey) than the vibrant Party inks, but the same formulation of awesome! The colours from both collections won’t always play nicely together, but they will certainly expand your stamping possibilities many fold! Catherine is also releasing a bunch of new goodies today, all of which can be found here. I paired the new inks with the Winter Woodland set and got to work! We’ll start with this stunner, shall we?! I wanted to create an atmospheric woodland scene and couldn’t be more thrilled with the results! 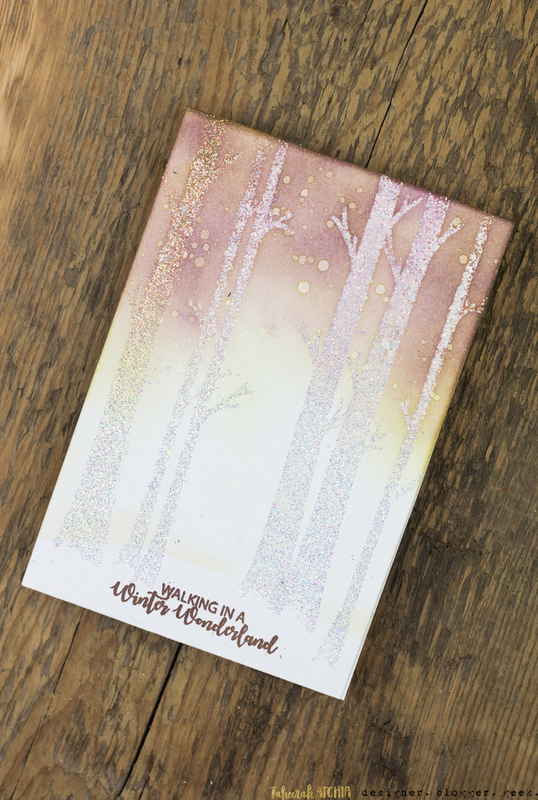 I stamped the trees with Versamark ink then heat embossed them with the newly released Wanderlust embossing powder. This was in one of the previous Stamp of Approval collections and now it’s available to buy on its own! I lightly blended a mix of Royal Treatment and Green Tea inks to create my misty scene – then used them together to stamp the sentiment to create a brown ink! A little bit of masked cardstock at the bottom allowed me to blend a horizon line to ground everything in the scene perfectly! 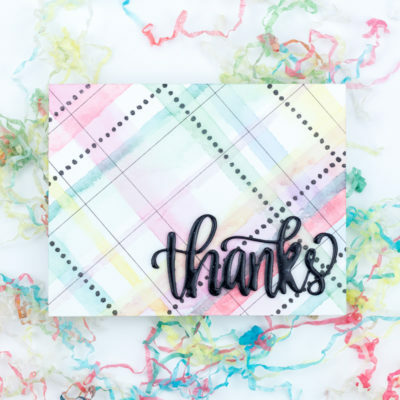 A little mist splatter completed the card! I love this collection of mini cards! The little details are slightly different on each, but they all coordinate perfectly together! 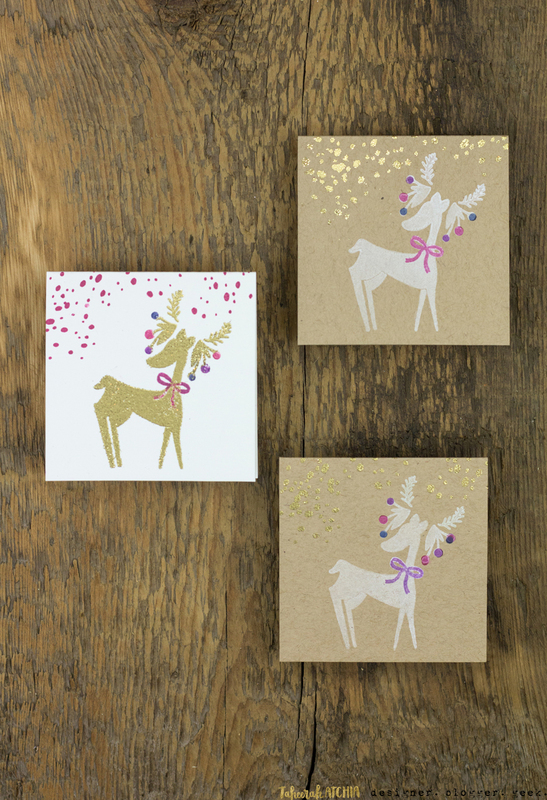 For each of the cards I stamped the deer, fancy antlers, and then individual baubles and bow. I used Peppermint Scrub, Juniper Mist and Royal Treatment inks for these babies! I used a white ink on the Kraft cards. This helped the colours pop even more and looks so fun! 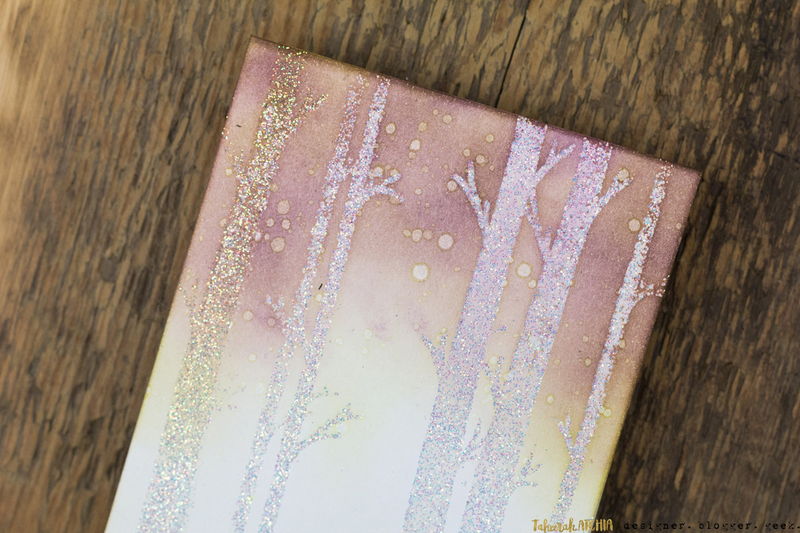 I heat embossed the ‘snow’ with sparkly gold embossing powder. 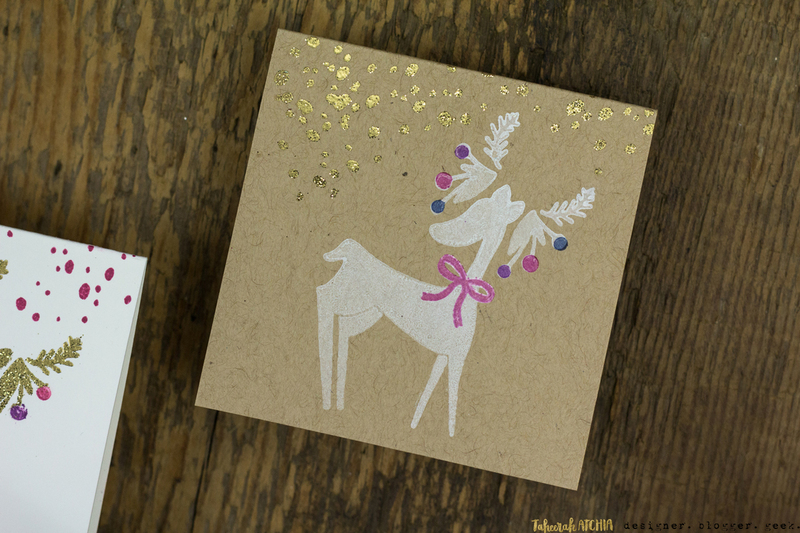 For my white card I had a sparkly gold deer, and switched out the colour of the ‘snow’ to use Peppermint Scrub ink! I love the regal, rich feel of these cards! 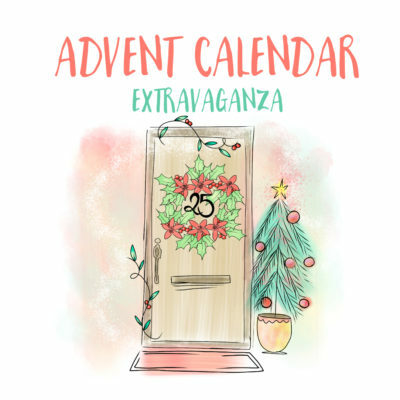 As I mentioned, this is the third of three Blog Hops – and each day’s Hop has a box to give away! 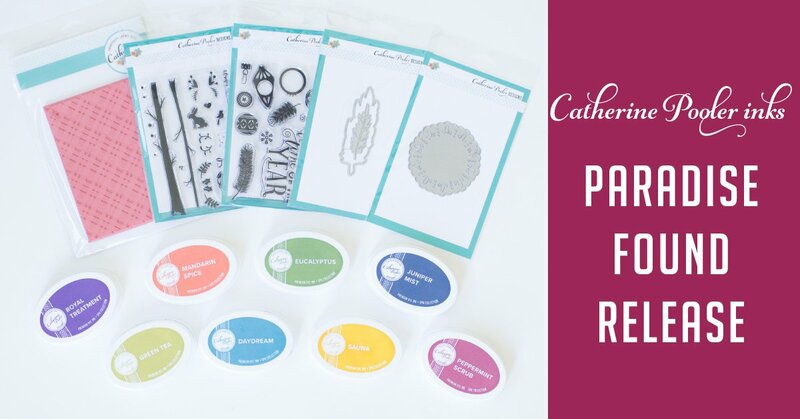 Three very lucky random winners will each win a $25 gift certificate to spend in Catherine’s store! You have until 11:55am EST on Friday 17th November to enter. Good luck! Thank you for letting us see the wonderful talent you have so that we might gain insight into what we can do. I enjoy your ability to fade colors and make it look natural. Your deer cards are just adorable but the card with the trees is out of this world AMAZING. LOVE IT! Wow! Beautiful cards, love your techniques and colours. Thanks for sharing. Taheerah your cards are absolutely beautiful! That first one is amazing! Love the new ink colors, too. The Winter Wonderland set is my favorite. I just love animals, all animals, so it really touches my heart strings. 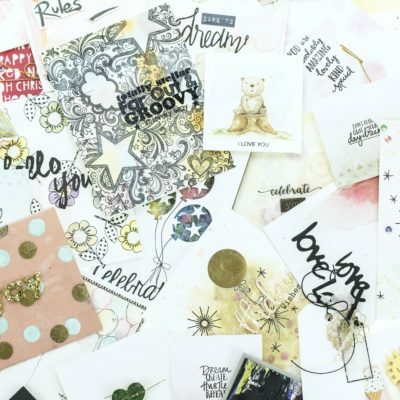 Love your pretty cards. Wow! Wow! Wow! I’m totally in love for your STUNNING first card!!! Awesome colouring!!! Beautiful mini cards too!!! 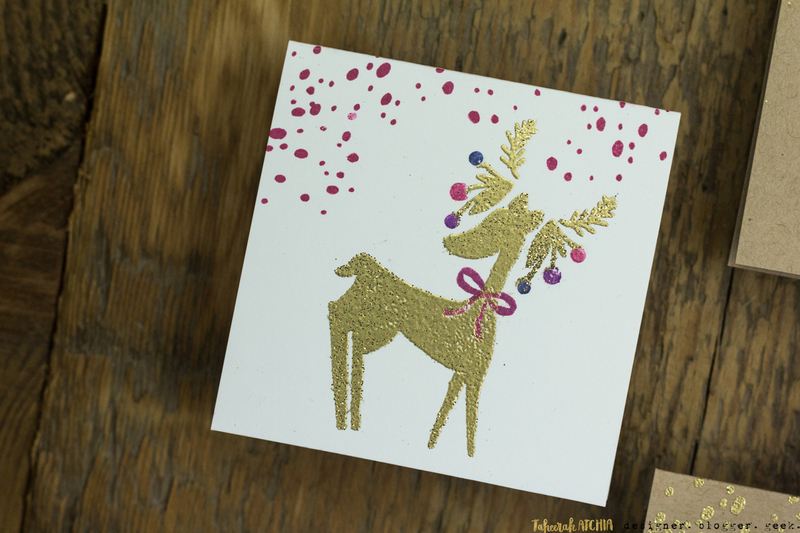 FAbulous colors and love the sparkle on all of your cards. WOW! What a stunning woods card. What fun reindeer. Love the look of your forest. Love both of these! The colors on the first one though…so soft! Always fun to see your creations – especially liked the gift tags – super cute! Beautiful cards! I never would have thought of using those images for antlers on the deer! So cute! The woodland scene is gorgeous. I’ve got to try this. And, the deer cards are too sweet. Thank you for sharing. Beautiful cards. With the trees, I can feel the serenity of walking in the woods on a snowy day and love the deer and you created the antlers. Great Job! I too, love the new ink colors. Your cards are lovely, one elegant and one trendy. You never fail to inspire me. Gorgeous. I love the simplicity of these. Beautiful projects! Love the sparkle! Love the Winter Woodland stamp set! You really created some lovely cards. Love how you created the deer antlers and you are correct about the quality of Catherine’s inks. Great job! Your cards are beautiful but that Winter Wonderland one is absolutely stunning! 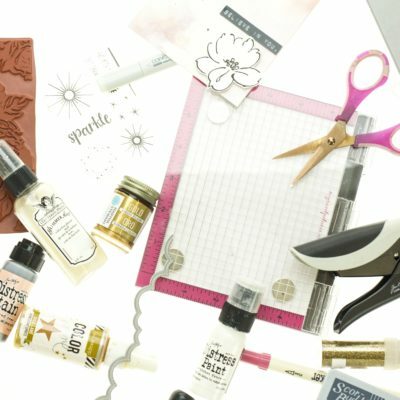 I am with you on Catherine’s inks, they are my go to for sure. I have actually put away the majority of my other stamps and am thinking of donating half of them to the crafts for kids program at out local YMCA. 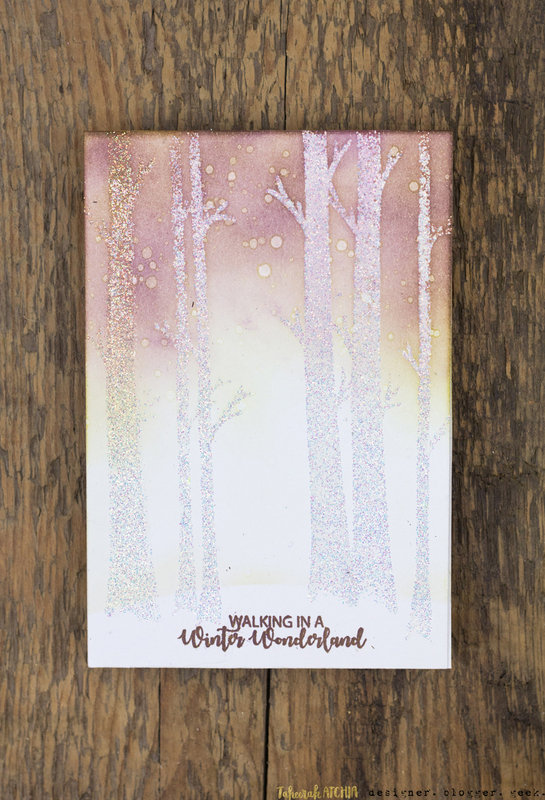 Beautiful woodsy scene, LOVE this ink blended color combo with those glittery trees! 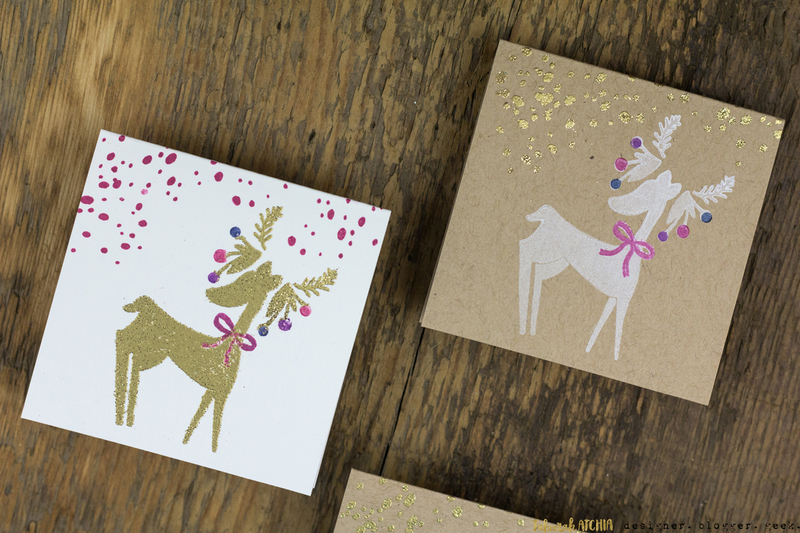 The reindeer tags are so fun and festive, so stinking cute! Thanks for your in depth look at the CP inks. Wow, just wow! I love these cards! Those inks sure do blend well together. I really like the blending on the first card with Green tea and Royal Treatment. It creates a gorgeous shade. The fancy antlers made me smile. What a great idea! And those reindeer would make great gift tags. Thanks for sharing your love of inks. 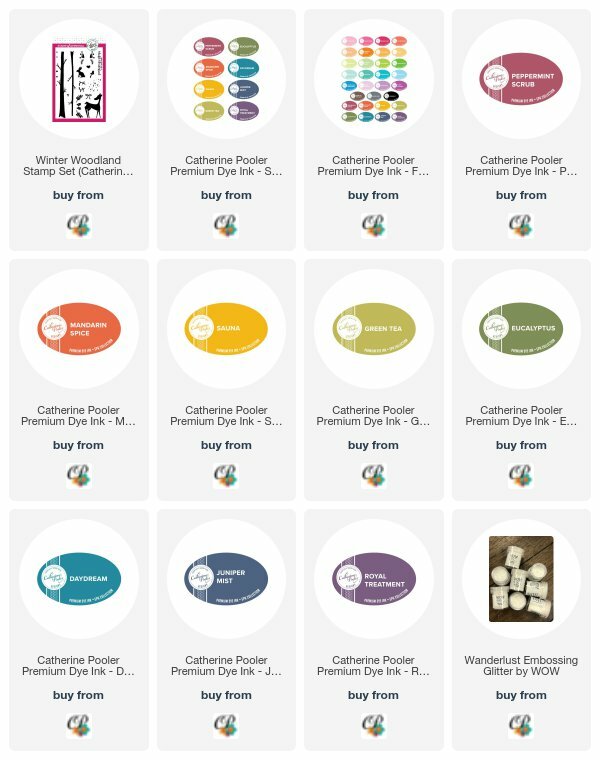 After loads of research, I’ve ordered my first set of Catherine Pooler inks. I’m told I’ll never go back.. and now you’ve said you wont either.. Too funny. Your card is lovely. Love the color blend. I look forward to seeing and experiencing the colors of these inks. Thank you for sharing your love and passion for ink. 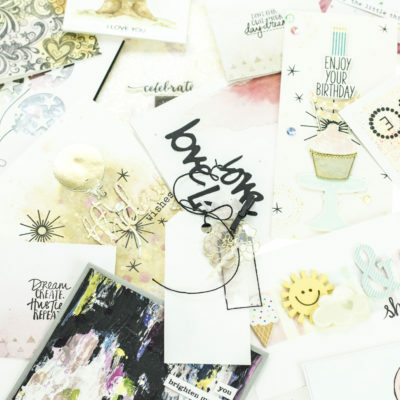 Absolutely beautiful cards and I agree, Catherine Pooler Inks ROCK! And your blog posts are hysterical! The color you created on your first card is just beautiful. I would love to see a video of how you blended them without making them look “muddy”. Wow! That delicate snowy background is gorgeous! I love these cards and your blog post did make me laugh out loud! Wonderful cards. I can’t wait to try the inks! Taheerah, that first card is beautiful! Perfection! These are great, but the first one nearly knocked me on the floor! LOVE! These cards are wonderful. The first looks like rose gold. So beautiful. Love the inks. Your cards are awesome. I love love love these inks too! The new colours are fabulous! The little gift card set is adorable. 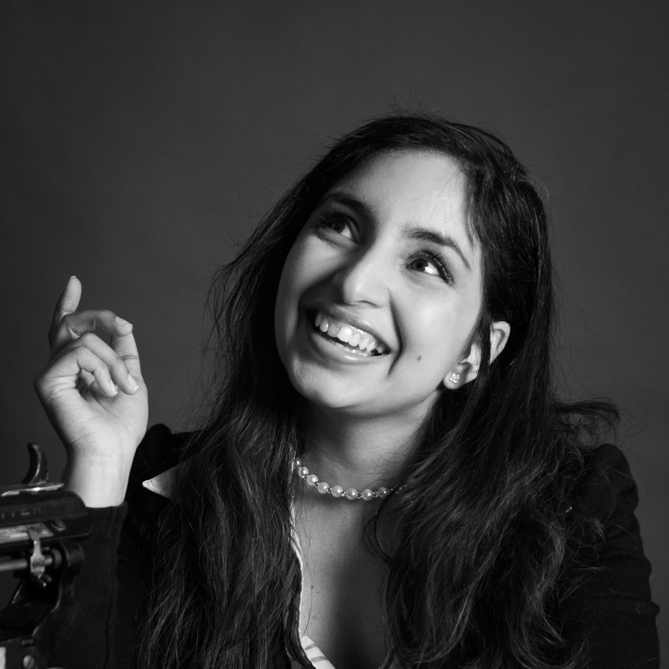 I’m always a happy stamper when I have the opportunity to read one of your blog posts! You have a way with words, and INK that I just love! Wow, royal treatment and green tea look fabulous blended together. Love your winter scence. Your little deers are adorable as well. I love how you did the antlers. 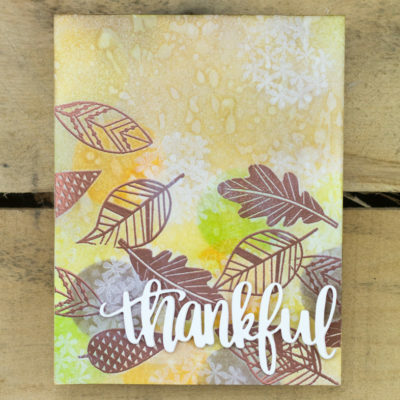 Love love love these cards and colors! love, LOVE, love that scene card! The colors are beautiful!! Wow, wow, wow! 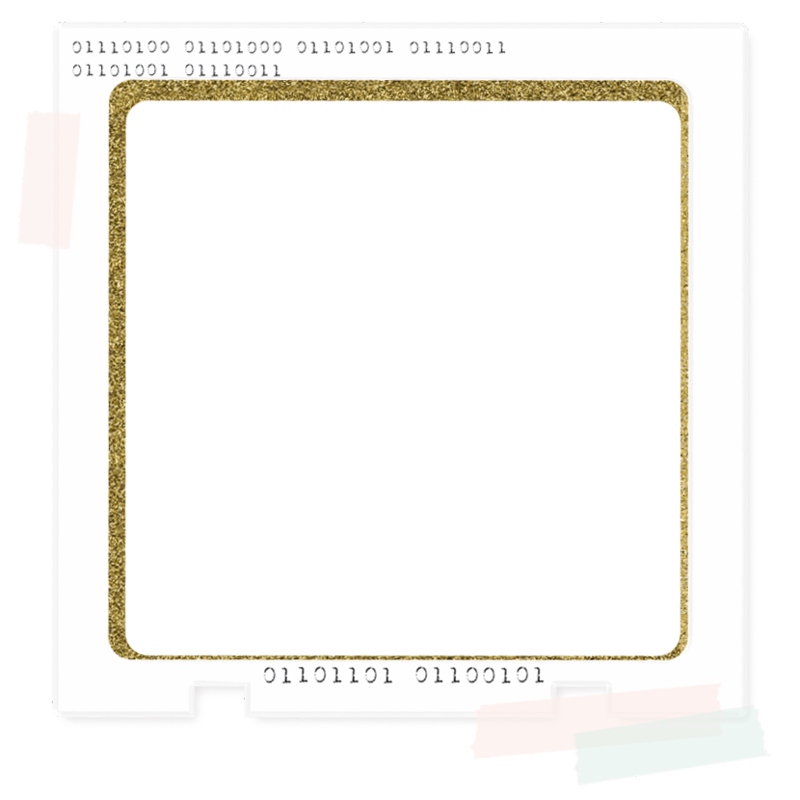 Your cards are stunningly beautiful. Really love the techniques and color choices.